Is Canon DSLR the right choice As Beginner DSLR Camera? 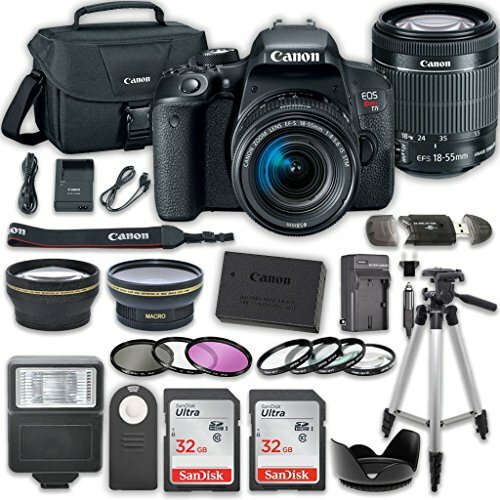 As many are profoundly aware of the brand, Canon stands amongst the best companies that manufacture DSLR for beginners. 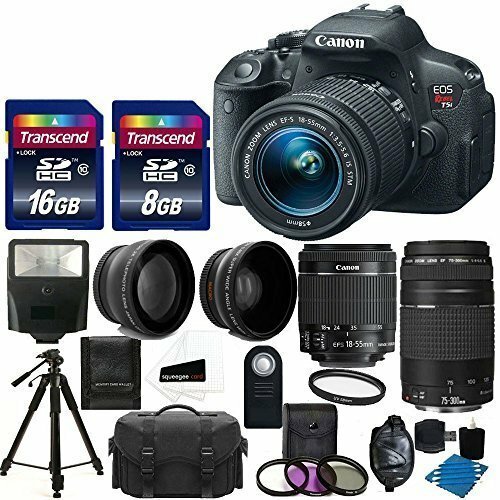 If you are fond of capturing pictures or if it is your profession, Canon will provide you the best DSLRs allowing you to have the best and it will also instigate enthusiasts to work great deals for their profession. Or you can say you can have the ‘beauty and the beast’, a beast that turns everything you capture into a beauty you want. As you know a great platform provides a great experience, Canon will certainly do that for you. So now you know about Canon, what remains is the term “DSLR”. DSLR stands for Digital Single Lens Reflex. That phrase refers to the primary design element of the camera category. The camera has a single lens used for both viewing a scene in framing a potential picture and for taking it. 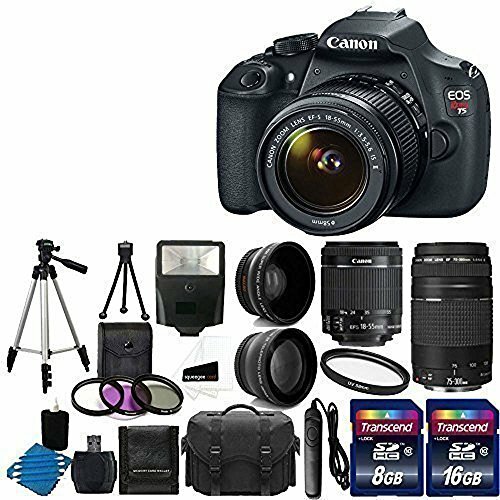 If you are looking for a camera that will provide much better image quality than your smartphone and at the same time you have a very tight budget, then don’t worry the Canon Rebel T6 is the best DSLR for beginners. It takes one of the most popular cameras in recent years and tweaked the design making it much easier for you to get your photos on your phone. The Canon T6 shares a lot with its well-received predecessor. The smooth, polycarbonate body is almost identical to that of the Rebel T5. The grip is nicely contoured that fits your middle finger when your index finger rests on shutter release. Both are friendly and approachable. It is also quite similar to the Rebel T3 of previous-generation. So if you are considering an upgrade from T3, you will find yourself almost at home with the T6 immediately. The Canon T6, on the inside, sports almost exactly the same imaging pipeline as its predecessor. Featuring a roomy APS-C sized image sensor with a resolution of 18 megapixels, the T6 might lag more expensive cameras regarding resolution, but arguably it provides more than enough for beginners at whom this model is aimed. Its sensitivity ranges from ISO 100 to 6400 equivalents that can be expanded to a maximum of ISO 12,800 equivalent which should be plenty for most entry-level shooters and also far beyond what your smartphone will manage. If you are planning to shoot kids, sports or other very active subjects, you may want to consider a fully-featured camera instead. It has a continuous shooting speed of just three frames per second and especially if you are a raw shooter, then because of its relatively modest burst-capture rate you may end up waiting and missing photo opportunities. Although in JPEG mode, according to Canon, the new DIGIC 4+ image processor allows an unlimited burst depth. The Canon T6 features a higher-resolution LCD monitor compared to its predecessor. If you shoot in live view mode, its crisper display makes it easier to spot precisely the sharpest point in the image. And also the higher resolution will also give you more satisfying experience in reviewing the photos already captured. The Canon T6 offers a 9-point AF module, built-in Wi-Fi and NFC and 1080/30p video. Its battery life is respectable 500 shots per charge which puts it near the top of its class in this respect. The Rebel T6 is the Canon’s most affordable, best DSLR for beginners. It shares much with the earlier T5, but differs, though, in offering wireless connectivity to get your photos onto your phone because of its in-built Wi-Fi connectivity. It also features a noticeably better display. The Canon Rebel T6 is reasonably framed, a good value option for beginners. Canon has been a prominent contestant in the beginner DSLR market for quite some time. It has introduced a wide variety of lenses and accessories over the years. 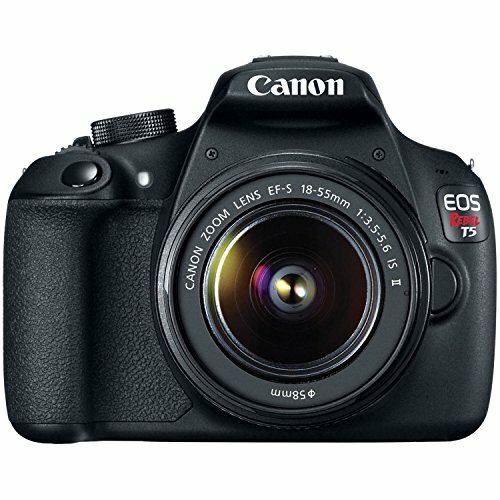 One of the Canon’s best DSLR for beginners is the Rebel T5i. 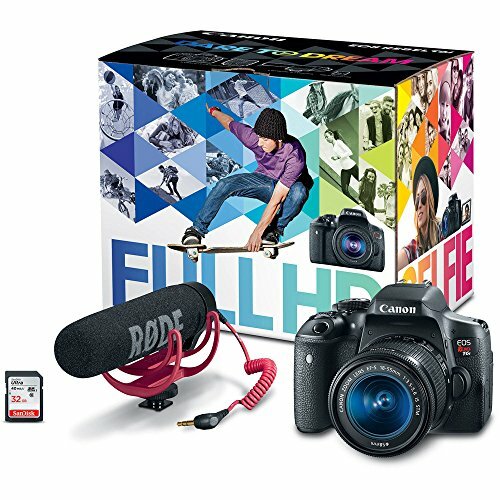 The Rebel T5i with a strong set of beginner-friendly features and good image quality is a solid construction to Canon’s vibrant DSLR ecosystem. The camera uses an APS-C sensor that is similar in size to its competitors. However, it is a bit older and therefore lags behind in color depth, dynamic range and low-light performance. The Canon Rebel T5i produces great-looking photographs but confines a bit in performing quite as well in adverse lighting conditions. The strength of Canon T5i is its user interface. It features a user-friendly touchscreen rather than relying on a host of physical buttons and on clunky menus. Using the touchscreen, you can intuitively and easily switch between focus points, adjust exposure settings and browse images. While adjusting exposure settings, the image preview updates in real time. In this way, it becomes easy to understand the effects of ISO, shutter speed and changing aperture. 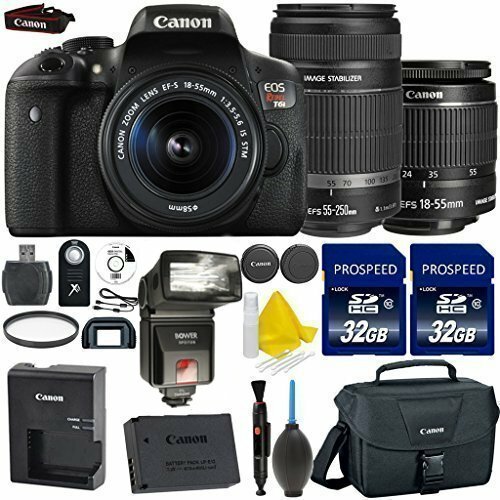 This may seem insignificant to some, but such helpful features facilitate learning and make Canon T5i one of the best DSLRs for beginners. The Canon Rebel T5i is well designed for shooting videos. Compared to its competitors, it feels more natural in this role. Switching to video mode is quick. And its articulating screen renders it easy to shoot and adjust settings from any angle. 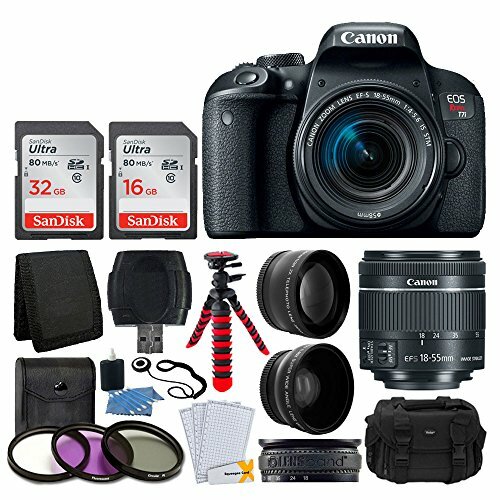 Some video shooting options, however, are lacking in the Canon T5i that are present in similarly priced DSLRs. The camera is only capable of shooting in 1080p at 30 frames per second, whereas competing cameras provide the same resolution and double the frame rate. In video mode, the greatest strength of the Canon T5i is its high-quality kit lens. Unlike other competitors’ lenses, lenses provided by Canon are smooth and silent when autofocusing. So you can continuously autofocus in video mode, without onboard microphone picking up distracting sounds from lens. 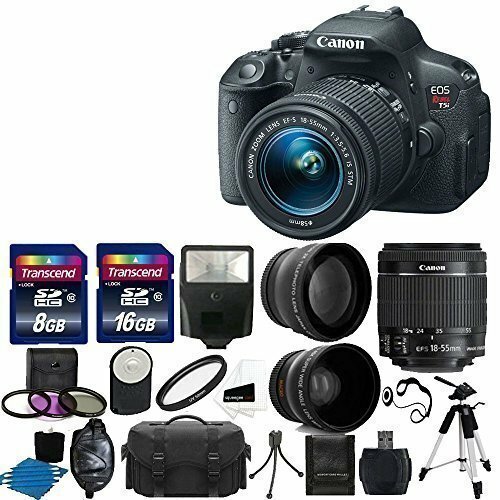 If you are interested in capturing still images as well as video, the Canon EOS Rebel T5i is one of the best DSLRs for beginners. Its swing-out high-resolution, articulating touchscreen display helps when capturing stills and video at a variety of angles. It can autofocus while recording a movie and also has an external microphone jack for capturing audio. 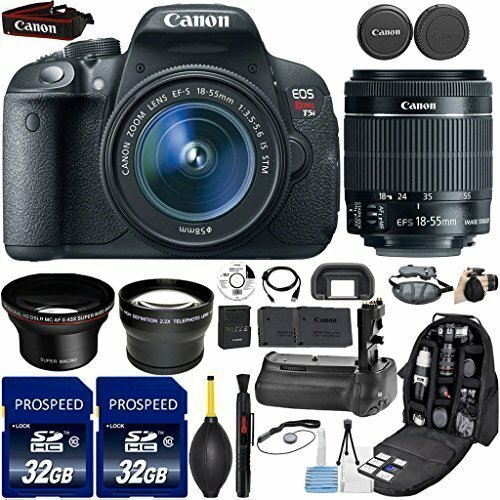 The Canon Rebel T5i is considered a step-up from the T5 model. Being one of the top manufacturers in industry, Canon backs up its products well. The Rebel T5i is also covered under one year warranty against manufacturer defects. The Canon Rebel T5i has some weakness in image quality when compared to best DSLRs for beginners. Aside from this flaw, the Canon T5i is a very good camera. 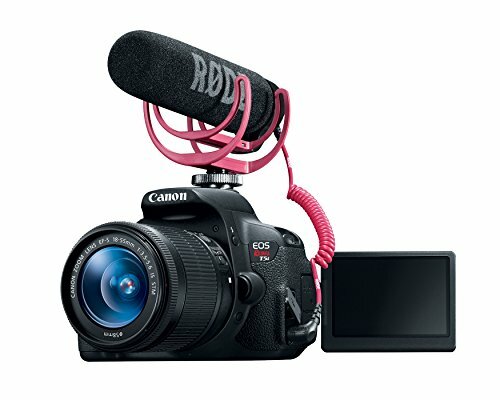 It offers silent lens for filming and a well-designed video mode, as well as unique beginner-friendly features. 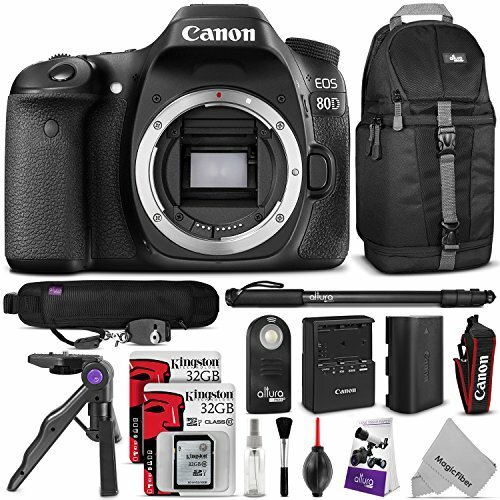 The Canon 80D is an excellent, well-built DSLR. 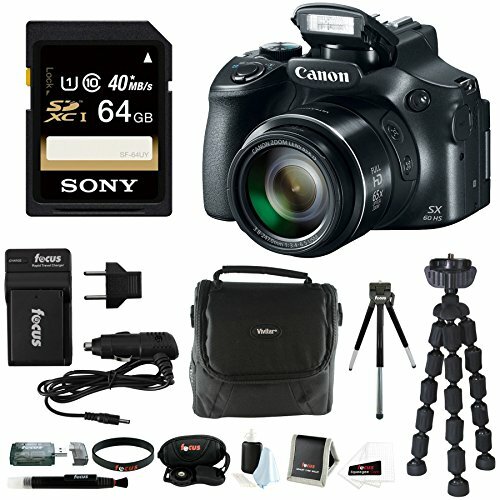 It produces reasonably sharp and detailed photographs as well as Full HD video. The camera is very comfortable to hold with classic Canon DSLR styling. Its ergonomics and controls and versatile AF system is great. The Canon 80D feels like a tried-and-true Canon DSLR, nothing ground-breaking, over the top or revolutionary, it is just what meant to be. It is an amazing straightforward camera that performs well and captures pleasing images. With an all-black body having a textured finish, it looks like every Canon DSLR. It weighs about 26 ounces without a lens and measures 5.5×4.1×3.1. The 80D, indeed, has a nice feel and balance. With the Canon EF mount, the camera accepts close to 100 lenses created for the EOD system. It features the vari-angle touchscreen LCD which enables you hold the camera at different creative angles and also allows you use your finger to tap on a specific focus point. It also has an LCD on top deck to quickly check or change your settings. And like all of Canon’s DSLRs, the key controls such as ISO, burst rate, white balance and so on are easily accessed and are nicely labeled. 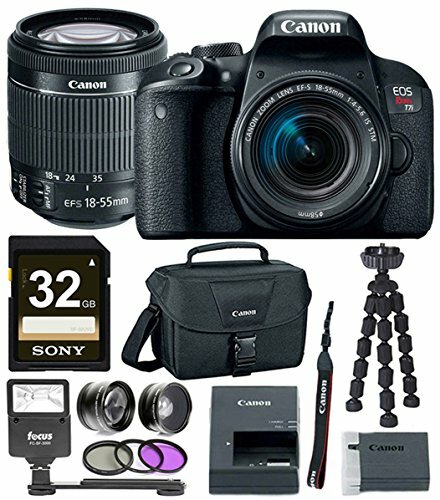 The basic camera comes with just the body but for beginners, the 18-135mm zoom kit is a good option. With the 1.6x digital factor, the lens range is 28.8-216mm from wide-angle to telephoto. Also supplied are the battery, strap and charger by Canon. The EOS Digital Solutions Disk software is not included but is available for download to develop RAW files and manage images. Canon also supplies a printed user’s guide. 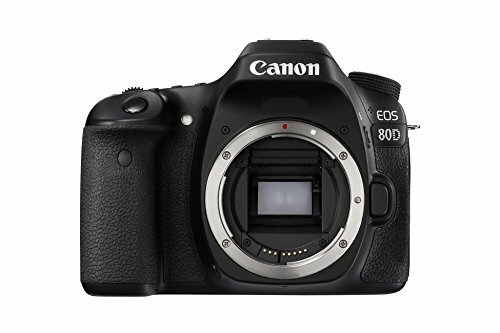 The Canon 80D, overall, offers solid performance in image quality on nearly all fronts at both high and low ISOs. The new 24 megapixel APS-C sensor results in excellent and highly detailed images. Its new sensor shows modest improvements with higher maximum native ISO over Canon 70D, improved RAW high ISO performance and lower shadow noise. The 80D is a weather-resistant EF-S mount DSLR. Its burst rate and shutter speeds are same as the old model. ISO range has increased to 100-16,000 for stills, whereas video ISO is same for both at 100-12-800. The Canon EOS 80D does have an improved processor DIGIC 6 and captures much longer bursts. This is a real-world improvement. Another major improvement is the bump to 1080/60p Full HD video, from 1080/30p. The new autofocus system with 45 focus point is also a big upgrade. It covers more of the frame. The Dual Pixel CMOS AF system has also been improved with a bigger buffer for improved tracking ability and longer bursts. Canon provides a one-year warranty for labor and parts. Canon also offers extended warranty through CarePAK service plans for an additional fee. 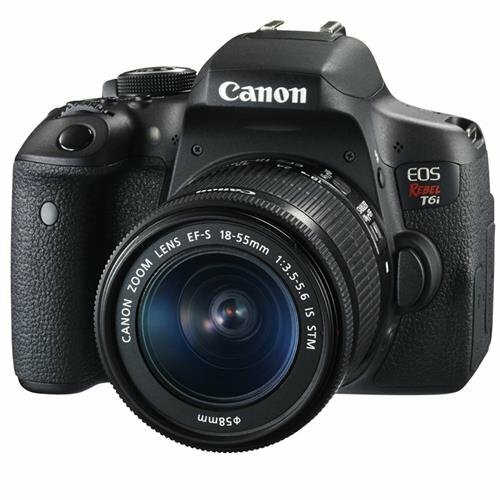 With better photo quality and better performance than the Canon 70D, the Canon EOS 80D is worth the upgrade and is one of the best Canon DSLR for beginners. 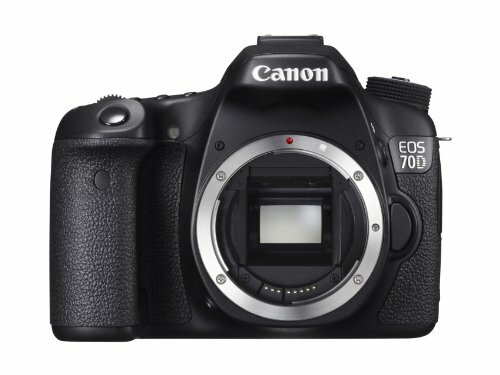 The Canon EOS 70D DSLR features a DIGIC 5+ image processor as well as 20.2 megapixel APS-C CMOS sensor to ensure excellent low-light sensitivity and high-resolution images. Both the processor and the sensor work together to produce clear and well-detailed imagery and exhibiting natural tonality and color gradations with less noise when working in difficult lighting conditions. The processor also offers notable speed throughout the camera system, including quickened AF speeds, ability to record up to 7 fps in full-resolution and full HD 1080p video recording in multiple frame rates with audio level and manual exposure controls. It features 3 inch 1,040k-dot vari-angle Clear View II LCD touchscreen which enables more efficient shooting and viewing from both low and high angles. A smudge-resistant, anti-reflective coating allows for clear and well-detailed viewing. The camera also features an optical pentaprism finder that you can use for eye-level shooting of still images. Providing additional functionality to the camera is integrated Wi-Fi connectivity. It allows instant and direct sharing of images to an Android or iOS device for sharing online. This also allows for wireless remote control over camera settings including focusing, exposure controls and shutter release. The Canon 70D has three dials- a Main Dial on the right behind the shutter button, a Mode Dial (Aperture, Priority, Program, Manual, etc.) on the top left with a lock button in the middle and a Quick Control wheel to the right of LCD screen. The Main Dial on the top will be primarily used to adjust settings such as aperture, ISO and shutter speed. For other camera options such as date and time, image capture format, and device modes such as Wi-Fi on/off, you have to use touch screen. 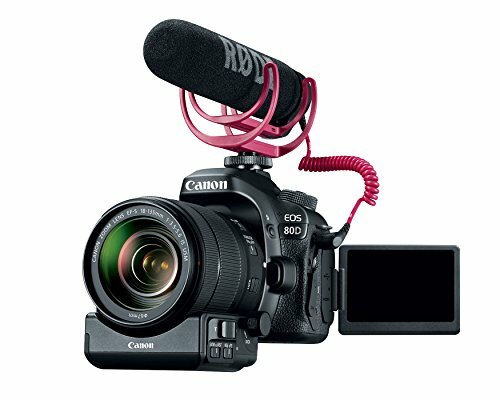 The Canon 70D has basic, standard assortment of inputs and outputs: HDMI, USB and audio-in/mic ports and an SD/SDXC/SDHC memory card slot. The built-in stereo mics are less impressive that pick up every stray bit of sun from passerby and street traffic. But that is typical for built-in mics. For better audio pickup, connect an external mic to 3.5mm mic jack and mount it on top of camera on the hot shoe. 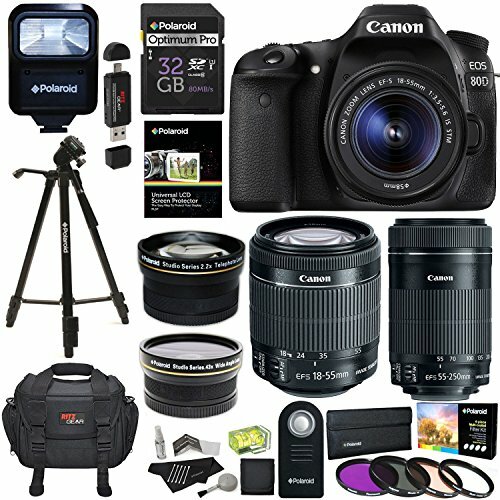 The Canon 70D is one of the best DSLR cameras for beginners and provides excellent color and detail. Its accurate autofocus system and responsiveness enables you to precisely follow moving subjects. It easy-to-reach controls allow you to quickly adjust most settings as conditions change. The Canon SX60 HS is the greatest addition by Canon to its PowerShot bridge camera lineup. It features a huge 65x optical zoom with 35mm equivalent focal range of 21-1365mm. The Canon PowerShot SX60 HS packs more than just a big lens. It has 16,1 megapixel high-sensitivity CMOS sensor that promises excellent image quality, as it is paired with Canon’s high-end DIGIC 6 processor. This allows 6.4fps continuous shooting and also Full HD video capture with stereo sound. This amazing camera is not short on features, as it comes with a 922k-dot electronic viewfinder, clever Zoom Framing Assist function and flip-out LCD display. You also get built-in NFC pairing and Wi-Fi for remote camera control and easy image sharing, in addition to plenty of creative effects and filters. It resembles most other high-end ultrazoom bridge cameras. But packing the biggest zoom range, the camera is not particularly large measuring 127.6×92.6×114.3mm, though weighing 650g it is on the bulkier side. This beefiness translates into solid build quality with rugged plastic casing free from flex or squeaks, and tactile rubber coating on thumb and finger grips. 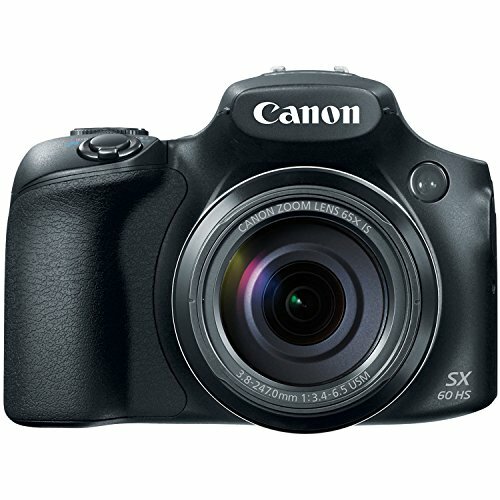 The Canon SX60 HS is a feature-packed camera with fairly simple and logical control layout. With solid image and video quality and one of the longest zoom lenses, the Canon PowerShot SX60 HS is the best ultrazoom to get. If you are new to digital photography, you have different options for purchasing a first digital camera. 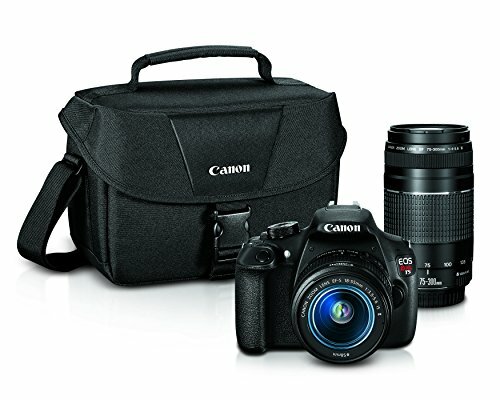 And while you might be leery of regarding an entry-level DSLR as a first camera because of its complexity and price point, Canon has done a great job of creating best DSLR for beginners that are best for inexperienced photographers. 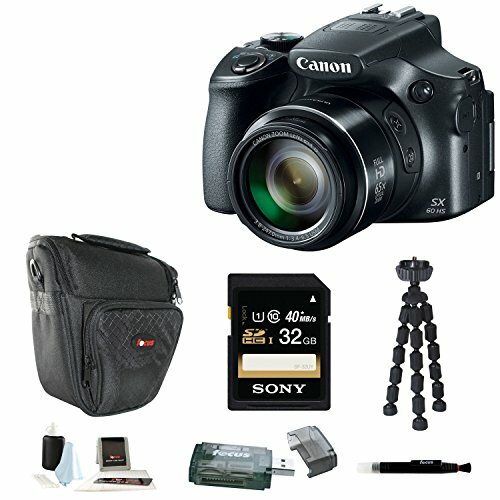 The best Canon DSLRs mentioned in this article offer plenty of easy to use features and excellent image quality at a reasonable price, making them very strong candidates as a starter camera. 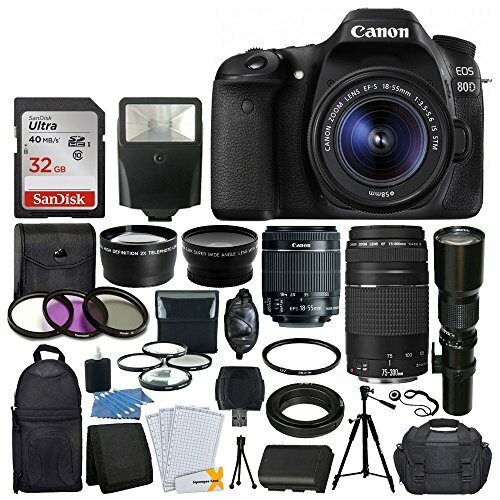 In reputable stores, such as Amazon, diverse camera bundles are available. Most are affordable and are recommended for both beginners as well as professionals. And as we mentioned earlier, that the camera body is not the only thing to buy and recommended you to have some room in your budget before buying a DSLR. 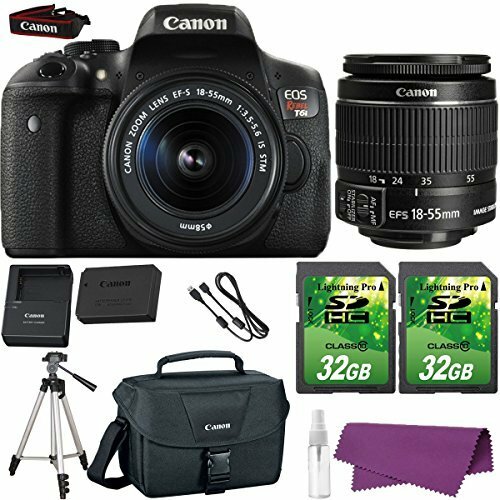 For your ease, we have listed some of the Canon’s DSLR bundle deals, of which you can consider one buying which suits you best. The EOS Rebel T7i camera features a 45-point all cross-type AF system and optical viewfinder to let you stay ready for the unforgettable moment without any virtual lag between what you see and what you get on pressing the shutter. It’s accurate and fast Dual Pixel CMOS AF with phase-detection locks focus speedily and accurately to help ensure you don’t miss a great shot. The 24.2 Megapixel CMOS (APS-C) sensor of the camera helps you capture special moments in brilliant color, vibrancy and detail. With a maximum ISO of 25600, you can take photos in low light with least chance of blur. Built-in Wi-Fi, Bluetooth connectivity and NFC lets you share these precious captured moments and upload them directly to the web. 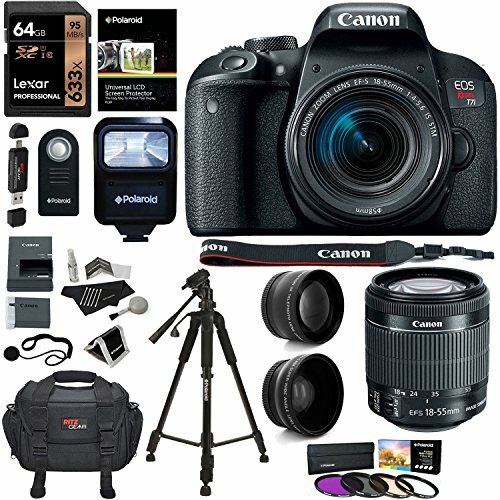 Other bundles are also available with this Canon DSLR, but this bundle includes Polaroid Optics 58mm 4 piece filter set, Polaroid 5 piece camera cleaning set, Polaroid memory card wallet, Polaroid universal LCS screen protector, Ritz Gear Deluxe Premium SLR Camera bag and others. For stunning, high-quality photos and videos that are easy to share, consider the Canon EOS Rebel T6i camera. The Canon EOS Rebel T6i does more and easier, making capturing photos and shooting videos a breeze. It features high-resolution 24.2 Megapixel CMOS (APS-C) sensor which means crisp, finely detailed and natural-looking photographs. You get effortless HD videos with the Canon EOS Rebel T6i’s advanced AF that provides quick and precise focus on subjects. It is a first ever for the EOS Rebel line, built-in Wi-Fi and NFC are available. Wireless connectivity offers a seamless way to exchange images and movies with compatible devices. 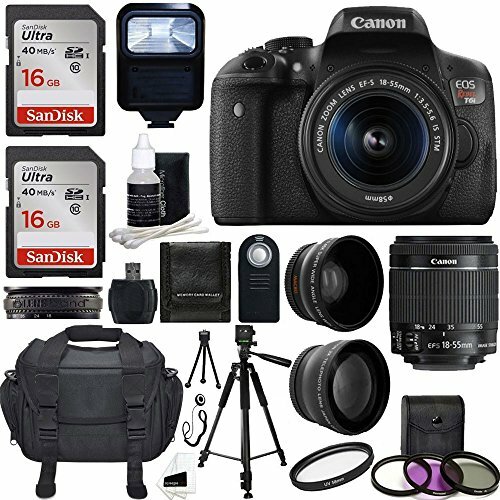 Of the 19 items that kit includes, some are Polaroid Pro slave Flash which includes mounting bracket, Polaroid water-resistant memory card wallet holder, Polaroid Lens cap strap, Polaroid 57” camera tripod with deluxe carrying case and others. 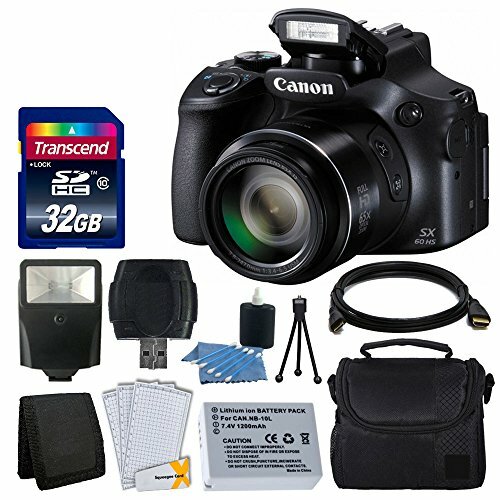 Canon PowerShot SX60 has satisfied the needs of those looking for the best camera telescopes. 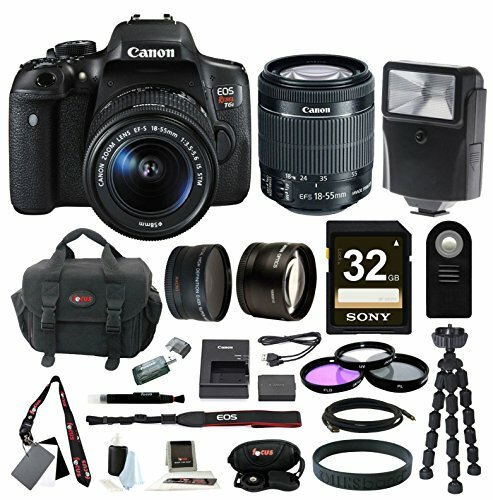 This bundle gives you the original model with durable wide-angle lens of 65X Optical zoom. You can utilize it to shoot panoramic view of landscapes or to shoot close-up shots with good results. With built-in Wi-Fi connectivity, this digital camera makes sharing easy. You also get auto image stabilization technology. 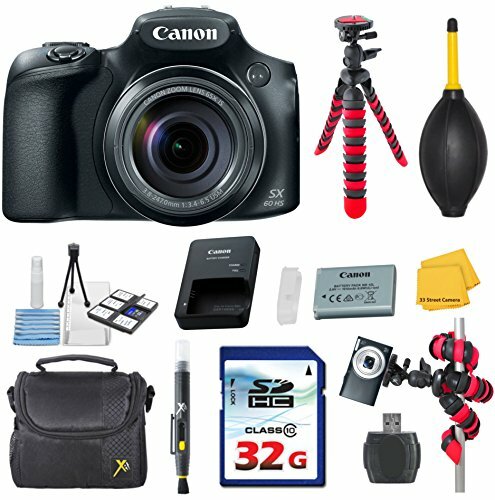 Along with the camera, this bundle includes 64GB SDHC memory card, Focus Mini HDMI cable, multi-card reader, Focus Camera case, spider tripod, Focus Optics Cleaning kit, Focus LCD Screen Protectors and many more. 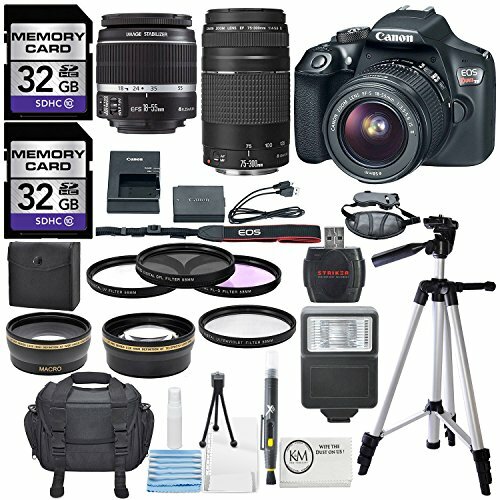 Canon EOS is a versatile camera bundle with great features for photo enthusiasts as well as amateur photographers. It might be best product for you if you enjoy HD recording. 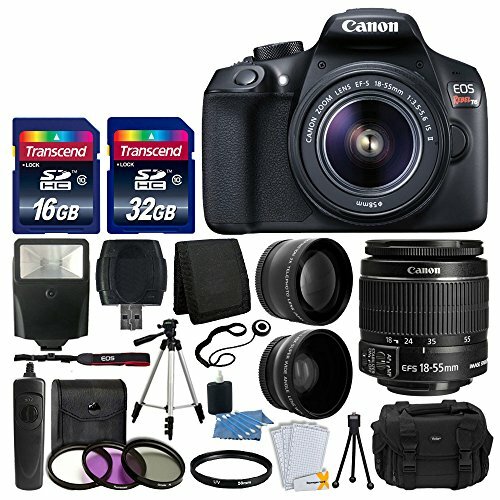 And the expanded ISO Canon EOS Rebel T5 DSLR offered is one of a kind. It is powerful and with a dual-layer metering system, its performance is desirable. It features a large 3 inch LCD screen for reviewing images and also an extended range sensor which works well in all lighting conditions. It is a lightweight camera. Because of its rugged design and extra lenses, it is one of the best models for heavy duty use outdoors. This camera supports many shooting styles to inspire creativity. It has filters and settings for saturation and color balance that are easily accessible. 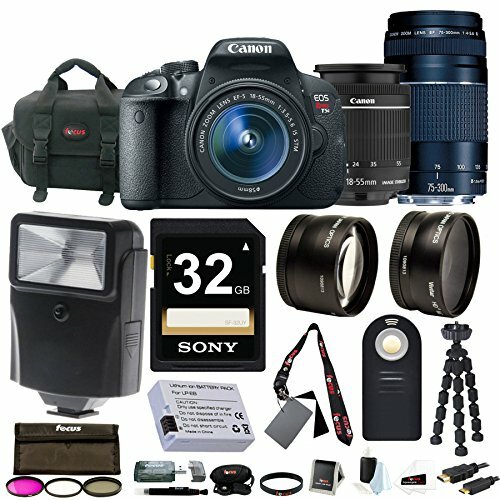 This bundle includes many add-on accessories such as the compact gadget bag which is perfect for outdoor photography. It is light, durable and has a multi-pocket design that fits most equipment. It also offers a high-speed charger, a free battery and a full-size tripod that works well outdoors. Whether having fun with a feature-rich, versatile SLR or raising your game to SLR level photography, you can use the EOS 80D camera pretty much anywhere. It features an impressive 45-point all cross-type AF system which provides highly precise AF in any kind of light. To help make sure photographers don’t miss their shot, there is an Intelligent Viewfinder with approximately 100% coverage that provides a clear view and comprehensive image data. Dual Pixel CMOS AF for Live View shooting and a powerful 24.2 Megapixel (APS-C) CMOS sensor enhance the EOS 80D’s performance. Complementing the EOS 80D’s advanced operation are built-in wireless connectivity and Full HD 60p movies that can be saved as MP4s for easy sharing. 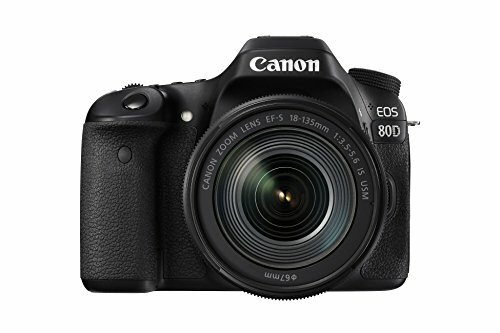 Merging revision, power, and operability, the Canon EOS 80D is a dynamic SLR camera for anyone ready to realize their creative vision. Other than the camera, the bundle includes full-size tripod, wireless remote control, microfiber cleaning cloth, LED video light kit and others. If you consider that you have mastered the entry-level DSLRs and are now ready to shake the ground with some professional potential of yours, there are some professional levels DSLRs to start with. Professional level cameras may cost a bit higher but they are also embellished with more features and capabilities than entry-level DSLRs. Typically a professional grade camera will have a full frame sensor, higher burst rates and megapixel counts, better low-light capabilities and better autofocus- all of which are good for photographers. These cameras often lack some of the automatic modes that beginners DSLRs provide, so strengthen your nerves to spend some time learning to shoot in manual and semi-manual modes. But this is not bad, as it will push you to learn to shoot manual sooner, which you have to do eventually. For those want to take their photography seriously, starting out with a pro-level camera is a great option. And it may also save you some bucks in the long run because you will not have to upgrade soon. Faster autofocus- autofocus is a big deal, unless you are shooting things that never move. Few things ruin shot more than missed focus. Fast autofocus minimizes the chances of those things happening. The better your autofocus, the more “keepers” you will have. Full frame sensors-most professional-level cameras will have full frame sensors that allow for higher dynamic range, a shallower depth of field and better low-light performance. Ruggedness- it is important to keep in mind that like anything else cameras are breakable. The higher the quality of your camera, the less prone it will be to breaking. Higher-end cameras tend to be weatherproof and sturdier than their entry-level counterparts. Canon had and always will provide its customers with quality assured products. 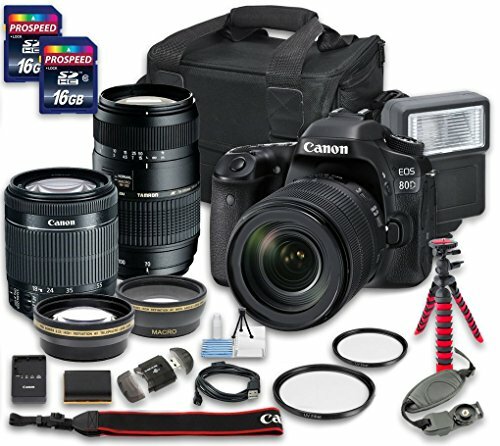 Canon manufactures top class DSLRs and there have been only a fistful number of other companies that can possibly match its class. The design and the creative features of Canon DSLR cameras allow the enthusiasts to explore their hidden talent and get tuned in to their true passionate state. 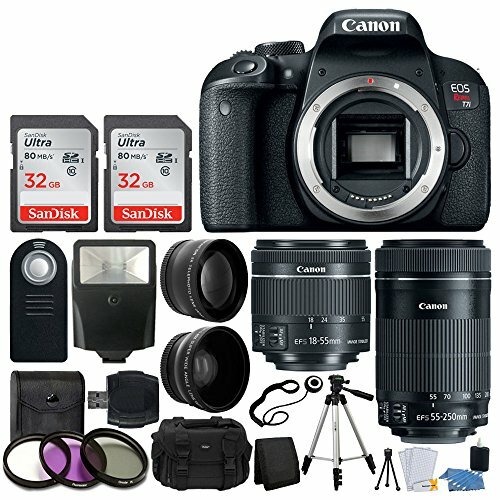 The Canon DSLR cameras are worth mentioning for, as they provide some of the best functions. 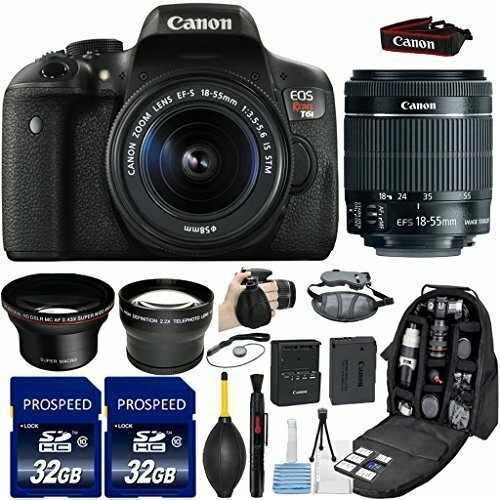 Such professional cameras are always compatible and meet your standard requirement, but still, you have to be very much precise in your demand as to exactly what are you looking for in your Canon DSLR. Canon manufactures some excellent quality DSLR for beginners and if you keep certain things in mind while buying an entry-level camera will save you from a big time misery. Every year Canon launches some new entry-level DSLRs with new and improved technology. Regardless of the fact that many DSLRs are more or less the remake of old ones, it is still better to have improved versions. 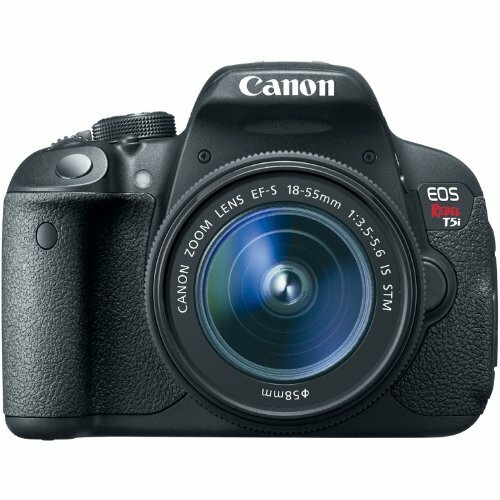 While purchasing a Canon DSLR camera, prefer the latest model possible but it doesn’t mean that older models are of no use, instead each and every DSLR has its own unique features.